A new edition of a well-loved game often generates much gnashing of teeth and beating of chests. New editions come in one of two main forms; an iteration of the old game encompassing the little (and not so little) changes that FAQ’s and errata bring, or wholesale changes that completely rebuild the game, sometimes in an unrecognisable form. Which leads us to Studio Tomahawk’s Saga and the new edition of those rules. Is this an tweak or a new game? We’re going to take an in-depth look at the first two books for SAGA Second Edition, published by Studio Tomahawk and distributed by Gripping Beast. Rather than aim at describing SAGA to those of you who have never heard of it, we are going to assume you have some knowledge of the game, and focus on exploring the changes from version one. The stated aim of Saga 2 is to tidy and tighten up the game. 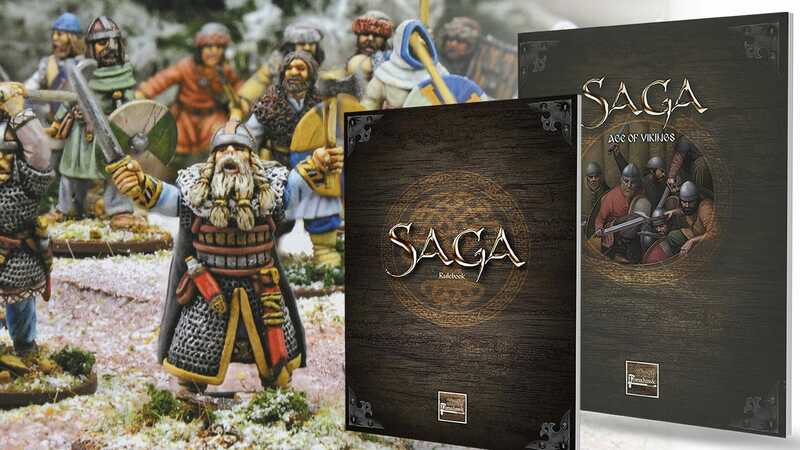 To fulfil this goal Studio Tomahawk have split out the rules from the factions – this is the first major change in this new edition of SAGA. The Universe books are meant to be standalone gaming aids and it is suggested you do not cross factions between the Universes. It is not proscribed but it is stated that there may be unexpected combinations that make the games uneven if you do so. The new Universe books also mean that the older material is now pretty much redundant other than Aetius and Arthur, which is said to be fully compatible with the new rules. More on the first of these, the Age of Viking Universe book later. First up, let’s look at the rulebook. It’s a softback, 52-page volume, that covers the rules and not a lot else. It is split into sections with a logical order that aids learning. That is helped by some excellent diagrams that add value to explaining the various rules. It ends with a glossary and a quick reference sheet. The Basics have stayed similar, with just a minor terminology change. Armour is still armour, now limited to values between 2 and 6. 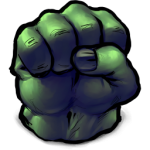 Attacks are now one statistic called Aggression which applies in Melee and has a Shooting value in parentheses. Unit deployment and formation are changed somewhat. You begin by deploying or moving one figure and the rest of the deployment or Movement is then dictated by where that figure ends up. This will make an immediate tactical change to the game when combined with other changes. The other principles of the game, such as turns and movement distances are the same as first edition. This means it is still an IGO-UGO game at heart. The Orders phase has been tweaked but some things that affect the Orders phase have changed a lot. The new battleboard has basic abilities above the faction name, with advanced abilities below. Activating abilities follows the same familiar format of rolling Saga dice and allocate. However, the number of dice generated is calculated differently; Warlord or Hero, Warrior and Levy are all changed, and Levy can now generate dice! The upper limit you can roll at once is increased to 8 and dice left on the board over a turn do not count towards the dice you can throw – no longer will they be wasted. After rolling, you place the Saga dice as you always did for the abilities you want to use during your or your opponent’s turn. Reacting to your opponent’s Order phase has been limited to the very start of the Orders phase or the very end. For the first time you are asked to ensure you give your opponent an opportunity to react before moving on. After Orders comes Activation, the meat of the game where charges are made and glory won. It is with charges that we start, and these are a new activation type. Sort of. Previously a charge was just part of movement, now it is an activation all of its own. This fits around the general move towards tighter, leaner rules and less ambiguity, which pervades the whole book. Charges and Movement are similar and are affected by the same major change. All movement is now in a straight line, no snaking around, no trying to work out how much you have turned. A straight line for each figure is affected by terrain and the new deployment/movement rules. Which figure you move first will impact where you end up and how you are arranged on the battlefield. The only exception to the straight line is for those units with a movement rate of L. They may change the L for two M movements; these must be continuous and the unit must move the full first M. Terrain now comes in four types: open, uneven, dangerous and impassable. This affects movement and also can fatigue your units. Further adjustments have been made to how movement is affected by other units. This is much clearer and the diagram is very well done. Additionally, there is a new free move available called Manoeuvre. It does have strict limitations, but allows a unit stuck out of the way to head towards the action, while you use your available dice to do some fighting. Charging follows the same rules as movement but must end in a melee. If you misjudge this with the first figure you move and they do not end up in melee, then the charge is cancelled and you lose your activation. Be very careful with this, or you could end up with your best laid plans in ruins. You can measure at any time, but once you move a figure there’s no going back. The use of fatigue to interfere with movement is now much more useful. Shooting has only had minor adjustments, but how Saga abilities and fatigue are used has changed dramatically, and affects melee as well. Instead of the attacker using saga abilities or fatigue to influence shooting or melee, then the defender doing the same, players now alternate using them. You can also swap between one and the other. This phase of shooting or melee only ends when both players pass consecutively. Saga is a game of fighting, mainly close combat, so we will leave the shooting to the slaves and lower orders and concentrate on the real issues; chopping each other into little bits! The biggest change is a new Step 1 of combat which allows a defending unit to ‘Close Ranks’. Closing ranks improves a defenders chances of survival but at the expense of their attacking capabilities. Like shooting, the use of Saga abilities and fatigue is now alternated between players, and there is also a dice limit, no more than 32D6 can be thrown in an attack. Defence rolls have any attackers effects applied first, then defenders, but the owning player can add these modifiers in any order they wish. This is a nice adjustment that means you can maximise your defence with some careful maths. Minor changes to removal of casualties will take some thought, and the withdrawal move is now a full S move, rather than up to S previously. Fatigue is still accumulated in the same way, although any loss of a friendly unit within S will cause a unit to gain a fatigue. Every type of unit, unless otherwise stated, now has a fatigue limit of 3; from Warlord to Levy, any extra a unit may get are discarded. Resting is now allowed more than once per turn. The new part of fatigue is using it to cancel enemy activations, a powerful tool if used correctly. It is worth noting you can use more than one fatigue in a melee or shooting to improve your armour save. Buildings are no longer part of the base game but will be making an appearance in the Book of Battles when it arrives. The terrain rules are much clearer and structured than previously, without actually changing too much. The addition of dangerous terrain adds an extra, and welcome, nuance. Special Abilities are where some of the most interesting changes have been made. Firstly, there is no longer any ‘Side-by-Side’ rule, as Warlords now enter combat on their own. Rules like ‘Determination’, ‘We Obey’ and ‘Pride’, have been updated with important changes. The old Resilience is now two abilities; Resilience and Bodyguards. Resilience allows unsaved hits to be cancelled at the expense of fatigue, and Bodyguards allows unsaved hits to be passed to nearby Hearthguards. These are also not limited to Warlords or Heroes. Equipment and Saga Abilities are covered in depth. Some subtle changes have been made. For example, only one Saga Ability with the Activation/Reaction keyword can be used per enemy activation. The Saga Ability section signs off with some handy reminders and tips – all the chapters have these and they are very useful. 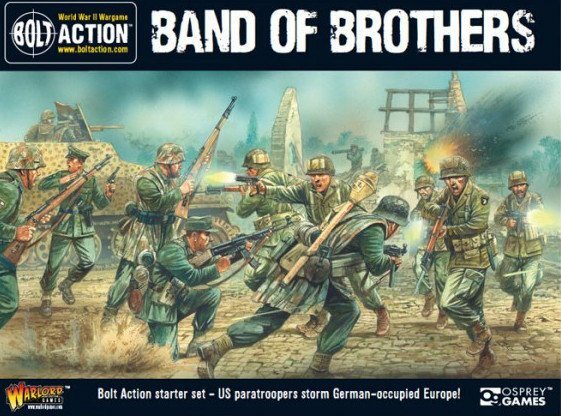 Assembling your Warband is very similar to the previous edition. The Warlord has changed a little but is still free, the other levels of normal troops are costed at the same level as they have always been. Mercenaries and Legendary Units are covered in very clear detail without providing examples of these, as they are in the Universe books. Finally you are given the updated Clash of Warlords scenario. It has changes to deployment, terrain placement, additional optional special rules, and new victory conditions. It is the only scenario provided with the rulebook. For old players this won’t be an issue as you can use the ones in the previous books, but new players will need to look online in the meantime for some variety. The rulebook then ends with the glossary and quick reference sheet. To play SAGA, as well as the rulebook you will need a Universe book. Where the rulebook is softback the Universe books are hardback, not dissimilar to the Crescent & Cross and Aetius and Arthur books. They come with 12 battleboards (or at least the Age of Vikings Universe book does) which cover the 12 main factions described in the book. Each faction is described with a little bit of history, a breakdown of their force, a table summarising their statistics and options, two Heroes or Legendary Units, and finishes with a mini-FAQ. Starting with the FAQ, these are all really useful. We can only assume they are questions that came up in playtesting enough that they were then collated here. With a description of how some of the various abilities interact with units and the game, they provide the new player (and with the new edition, we are all new players) with a starting point. The Legendary Heroes or Units are given full descriptions and their own statistics summary. Also any new or adjusted special abilities are documented here. These are almost like small cards of the kind that come with the First Edition blister packs for mercenaries. It is easy to find out the information for each faction by using the contents page, so an index is, for once, not required. The deeper description of the battleboard abilities from First Edition is now missing. However, the ability description on the board itself is clear enough. Many of the old favourites are here; Vikings, Anglo-Saxons, and Normans, but some have disappeared (like Rus Princes) or been subsumed into other factions (Bretons into Norman) for example. The battleboards are at once familiar and different. Most abilities are still there, but nearly all of them have changed in some way. Jomsvikings still accumulate ‘Wrath’, and need it to activate abilities, but there is now no upper limit to how much they can have. The Last Romans (early Byzantines) are very similar to the old Byzantine faction, but now have a basic ability Proelium that can hold dice to improve their abilities. Pagan Rus meanwhile have a similar feel, but every ability has changed, so they are a force you need to entirely re-learn – there is just enough similarity to cause some confusion to the unwary! The new abilities themselves are geared towards improved player interaction. Most factions have choices to act in their turn or react in their opponents, often to great effect. The Welsh Guerrilla ability will catch a lot of people out and only costs one Uncommon dice. The Anglo-Danes Intimidation is another Reaction ability that we can see being used a lot. Swords for Hire is a replacement for the old mercenary cards that were mentioned above. And Relics and Artefacts are new things that add extra dimensions to your play, although they are strongly suggested to only be used between consenting friends in a friendly setting. And as they have no associated points cost, that’s a good thing.